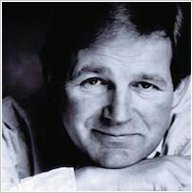 An exciting quick read by master storyteller Michael Morpurgo. Get to the good bits faster. School bully Darren Bishop is furious when he’s beaten in the school race by a smaller kid. He can’t have that, can he? So when the other boy challenges Darren to a battle of courage, Darren can’t wait to show who’s boss. But who will win this battle? This short book is great for anyone, but it has extra help for kids who find reading tough. Tell all your friends (especially the dyslexic ones) about it!